Dr. Andersen's office is private, clean, and comfortable. The office staff is helpful and friendly. 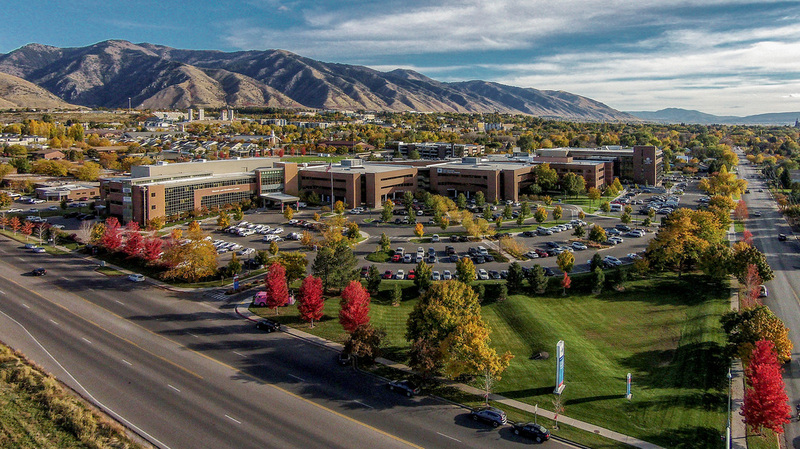 Located in the Regional Medical Arts Building (the southwest wing of Logan Regional Hospital) at 1300 North 500 East, Suite 260 in Logan, Utah, our office hours are 8:30 a.m. to 5:00 p.m. Monday – Friday. For appointments and general information, contact us at (435) 753-3400. When calling for information, you can expect to receive general information about plastic surgery including fees and recovery times. Dr. Andersen sees patients for consultations and follow-up appointments on Tuesdays and Thursdays. Consultations with Dr. Andersen are scheduled for one hour. The consultation fee is $75. During the consultation process, you will be informed of the risks and benefits of surgery and the estimated cost of said surgery. The procedures section of our website shows pre and post operative photographs of patients for whom he has performed surgery. Surgeries are usually performed on Mondays and Fridays. All surgeries requiring IV sedation or general anesthesia are performed by Dr. Andersen in accredited surgical centers or hospital operating rooms. Post-op care is provided by Dr. Andersen in his office. Fees for surgery are very competitive and determined by the local economy. Dr. Andersen’s fees cover the cost of surgery and one year of follow-up care. Payment for cosmetic surgeries are paid one week prior to surgery and are fully refunded if surgery is not performed. In Dr. Andersen’s office, you will not be solicited to buy skin care products and you will not be solicited for medical spa procedures or laser treatments. Focusing only on plastic surgery allows Dr. Andersen to provide you the best possible care.